vapor-and-ash column ~3 km high (Bulletin v. 20, no. 2). A drop in the level of Lake Voui that began on 6 March (Bulletin v.
fissures at the edge of the island. Information Contacts: M. Lardy, D. Douglas, P. Wiart, and K.
Apartado 17-11-6596, Quito, Ecuador (Email: robin@orstom.ec); J-P.
Savoie, 73376 Le Bourget du Lac Cedex. 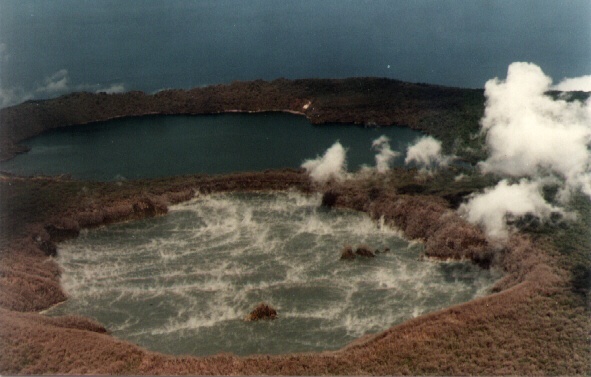 the lakes and landing site of the helicopter on 27 June 1995.